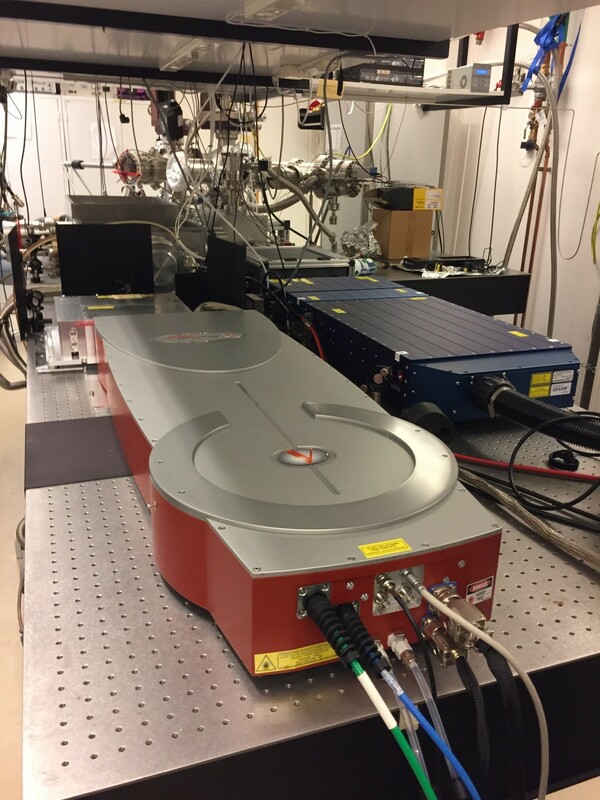 The ultrafast laser spectroscopy facility maintains state-of-the-art capabilities of characterization of ultrafast response in solid state materials by employing time-resolved angle-resolved photoelectron spectroscopy, ultrafast electron microscopy, photoluminescence dynamics and time-resolved scanning near-field optical microscopy. Fiber laser from Amplitude Systemes. Equipped with 2nd and 4th harmonic generation module. Fiber laser from Amplitude Systemes. Equipped with 2nd and 3rd harmonic generation module. From mid 2018 also SPM and pulse compression down to 50 fs with 80% transmission. MOPA laser from Time-Bandwidth Products now Lumentum. Equipped with 2nd and 3rd harmonic generation stage. Parameter summary: Spectral tuning range: 750 -900 and 1100-1300 nm, pulse duration 150-200 fs, average power 1 W@800 nm, 200 mW@1200 nm. Ti:Sapphire mode-locked oscillator-optical parametric oscillator system delivering tunable femtosecond pulses in´the near-infrared. Parameter summary: Repetition rate 80 MHz, Tuning range 680 nm-1080 nm, Average power 2.5W @ 800 nm, Pulse length 200 fs. Harmonics generator: tuning range 210 nm -530 nm, power 200 mW @260 nm, 500 mW @ 400 nm. Automated tunable Ti:Sapphire oscillator from Coherent. 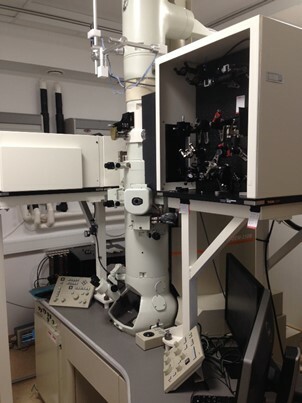 Used for excitation and probing lumninescence and as a pump source for near-field optical scanning microscopy. Description: High-order harmonic generation (HHG) in tight focusing geometry using continuous gas jet. Followed by grating monochromator in transverse geometry. Auxiliary equipment: ARPES end station featuring, Time-of-Flight spectrometer THEMIS, cryo-cooled manipulator <10 K, preparation chamber with LEED and fast entry load-lock. Type of experiment: Time-resolved photoluminescence with temporal resolution of 5ps, differential transmission and reflection measurements with temporal resolution of 200 fs. Description: Time-resolved photoluminescence and differential transmission/reflection measurements integrated over the sample area of tens µm2. Beam parameters: Spectral tuning ranges 210 nm -530 nm, 680 nm-1080 nm, 1100-1300 nm. Repetition rate 80 MHz. Pulse length 200 fs. 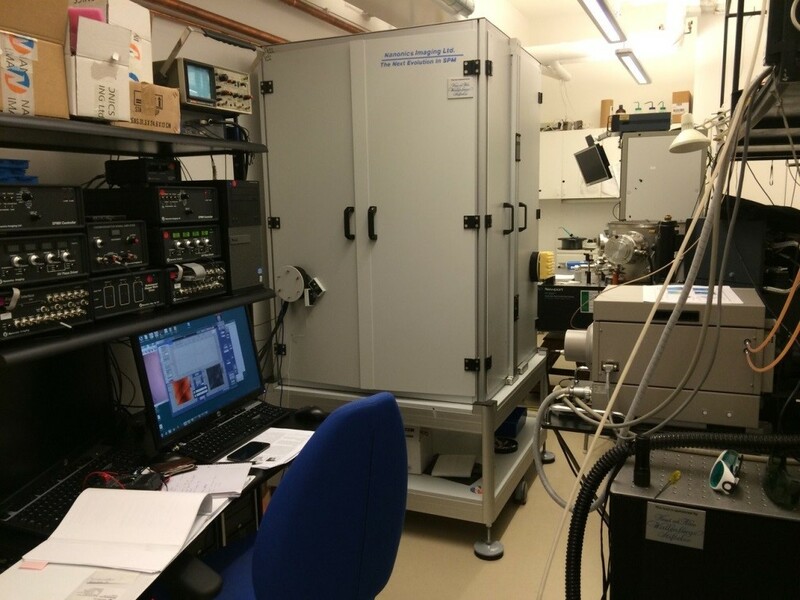 Auxiliary equipment: Hamamatsu synchroscan streak camera for time-resolved PL measurements, Montana Instruments Cryostation (3-350 K) for sample cooling, spectrometers, time-correlated single photon counting system. Type of experiment: Time- and spatially resolved near-field photoluminescence and surface morphology measurements. Description: Mapping of PL properties (spectra, dynamics) as well as surface morphology over a certain area with 100 nm spatial and 50 ps temporal resolution. Auxiliary equipment: Nanonics scanning near-field optical microscope MultiView 4000 time-correlated single photon counting system.